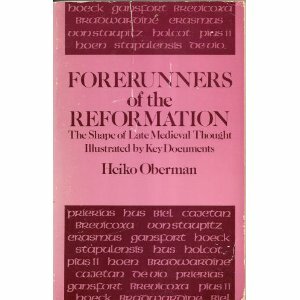 Below is a section from John Brevicoxa (14th Century) found in Heiko Oberman's Forerunners of the Reformation (pp. 70-71). Here Brevicoxa outlines succinctly a position on authority he doesn't agree with. I find it fascinating that he fairly outlines a position on authority he said existed during his day. He calls it "Tradition I". Some say that only those truths which are asserted explicitly in the canon of the Bible or which can be deduced solely from the contents of the Bible are Catholic truths and should be believed as a condition for salvation. For example, the assertion, "Christ is true God and true man," falls directly into this category because it follows necessarily from the contents of Sacred Scripture. 1. By the authority of Solomon: "So do not add to his words lest he rebuke you and you be found a liar." 2. It is argued by the authority of Saint Augustine, who says in a letter to Saint Jerome, "I have learned to give this regard only to those books which are called canonical so that I can firmly believe that no error crept into them as they were being written down. Even if I find something in them which appears to be contrary to the truth, or if I find a corrupt textual tradition, or if the exegesis is not faithful to the actual text or is not clear to me, I do not hesitate in my belief. But I do not have such a regard for other books or writings." 4. No one is required as a condition for salvation to believe the truths taught by Augustine as he himself testifies. And since Augustine grants this about himself, it is clear that no other writings which are not found in the Bible need be accepted as a condition for salvation. The conclusion stands because it is supported by Augustine, who is of as great authority as any of the biblical writers. 5. According to Saint Augustine, "In Divine Scripture, everything useful is found and everything harmful is condemned." Therefore, no Catholic truth is found outside of Holy Scripture. 6. It is argued by the authority of Saint Jerome who, speaking of Holy Scripture, says, "An assertion not based on scriptural authority is as easily discarded as it is proved." No assertion which can be as easily discarded as proved ought to be counted among Catholic truths. Therefore, only those truths which have authority from Divine Scripture, that is, which can be plainly deduced from Scripture, ought to be counted among Catholic truths. 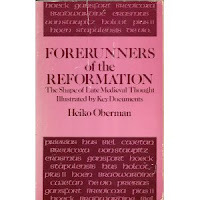 or a defence of the Catholic doctrine that Holy Scripture has been since the time of the apostles the sole divine rule of faith and practice to the church, against the dangerous errors of the authors of the Tracts for the Times, and the Romanists, as, particularly, that the rule of faith is “made up of Scripture and tradition together;” &c.
Thanks. So Tradition I (sola scriptura) existed in the Roman Catholic Church even before the Reformation? This is fascinating indeed. Again things are not so clear cut as we think. Yes, Martin, church history is deep and complex, and Catholic critics of the Reformation who reduce its annals to a binary categorization (pre-Luther Catholic purity vs. post-Luther heretical chaos) betray a profound ignorance of the history of both the early and medieval church. Luther was hardly novel in his core commitments, and anyone who says otherwise is probably some lay convert whose grasp of church history comes from reading Catholic Answers tracts. anyone who says otherwise is probably some lay convert whose grasp of church history comes from reading Catholic Answers tracts. Fortunately, those wishing to go to the deep studies of intellectual Romanism now have CTC. One wonders why a teaching Magisterium is needed with CA and CTC. I would speculate, most of the RC's I'm involved with would visit a lay-run apologetics website rather than the Vatican's official website when looking for an answer. Appreciate your wise comment and advice. Church history is indeed very deep and complex. We cannot afford to over simplify things and make sweeping statements.